Hillary Clinton made a cameo appearance on the premiere of the "Murphy Brown" reboot as an applicant for a secretarial job who says she has "some experience with emails." 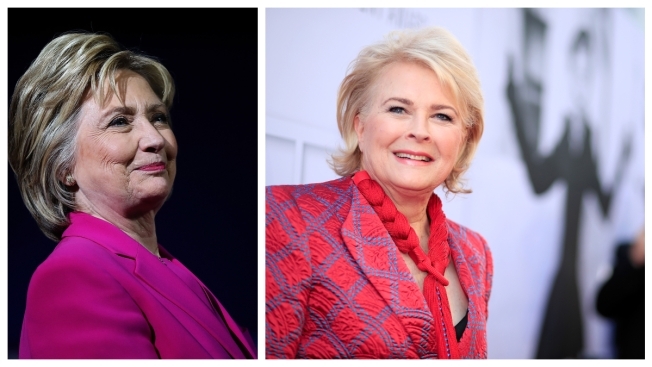 The former secretary of state and first lady played a doppelganger named "Hilary" with one L instead of two in a brief scene with star Candice Bergen on the first new episode in 20 years of the CBS sitcom on Thursday night. Clinton says she's worked as a secretary before. Bergen tells Clinton she might be a little over qualified and is left with a business card that reads "Hilary at you-could-have-had-me dot com." The scene had been omitted from advance screeners of the episode sent to critics, and the show's creators had teased a big-name guest star on the premiere.